Many people suffer with asthma due to allergies and other triggers. 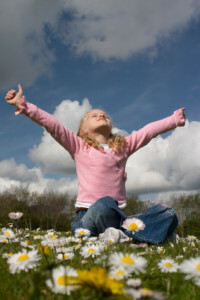 One drug that has proven to be very effective in the treatment of asthma and allergies is Singulair. Singulair is not an antihistamine; it doesn’t work the way that antihistamines work. In fact, it takes a few days before you know that it is working. For Singulair to be an effective treatment for asthma you must take it every day as prescribed. When you have an asthma attack, leukotrienes (leu-ko-tri-enes), lipids produced by the immune system as a response to allergens, causes the inflammatory process that gives you symptoms present in an asthma attack. Leukotrienes are the chemicals that cause constriction of the smooth muscles of the bronchial tree. The branches of the bronchial tree closest to the alveoli of the lungs are called bronchioles. Bronchoconstriction and bronchospasms are caused by the presence of leukotrienes. 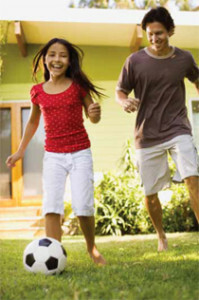 Singulair blocks the effects of leukotrienes on the bronchial tree, thereby preventing asthma attacks. If your asthma is triggered by an antigen, then Singulair may be the drug for you. If your main problems are less asthmatic and more allergic in the form of runny eyes, runny and itchy nose, skin rashes, then Singulair would not be the drug for these symptoms. You would need an antihistamine to treat those allergic responses. The generic name for Singulair is montelukast, and you can only get this medication by prescription from your doctor. Singulair (produced by Merck & Co.) is not available yet as a generic drug. A generic of Singulair cannot be marketed until the patent expires in 2012. As with all generic drugs, once the patent expires, many different drug companies will pick it up to sell it on the market at reduced prices. The generic name, montelukast, is the active ingredient in Singulair; it is not a generic version of this drug. 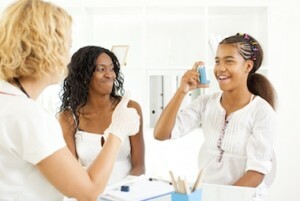 Though, there is no cure for asthma, you can control it with medications and lifestyle changes. When taken routinely, as directed, Singulair takes away the inflammation that occurs when an irritant is breathed into your airways, and prevents an asthma attack. You can improve your health by adding moderate exercise as tolerated, and by keeping the air inside your home as clean as possible. You can clean your home’s environment by placing air purifiers in your home and office. The air purifiers should be the kind with HEPA filters, because these filters catch the smallest of particles down to 0.3 microns. Singulair is tolerated well by most people, and it is an effective treatment for asthma and allergic rhinitis; however, some individuals might experience some minor side effects. The most prevalent side effect that people have while taking Singulair is headaches. Other minor side effects that present on a very small percent of individuals are cough, heartburn, and flu-like symptoms. Other side effects that may present in a small percentage of people are fatigue, tooth pain, nasal congestion, dizziness, fever and rash. If you have any side effects while taking Singulair, consult with your physician about whether to continue taking it or not. Singulair is a drug that has to be taken every day. If you do have an asthma attack, Singulair is not a rescue drug. If you continue to have wheezing while taking Singulair, consult with your physician. You may still need to use an inhaler every day, and you may need to have a rescue inhaler, for those times that you do have an asthma attack. By taking measures to eat a healthy diet, and live a healthy lifestyle, while taking Singulair you should see a significant improvement in your respiratory health. If you have asthma, ask your doctor about Singulair.